National integrity is the state of being whole and non-divided, which forms wholeness and unity of all the citizens of all the parts of the country. Nepal is an independent, sovereign, indivisible, secular and inclusive country. Nepalese people have fought hard to transform the country from exclusive to inclusive, Hindu kingdom to a secular state and monarchy to republic to change themselves according to time. 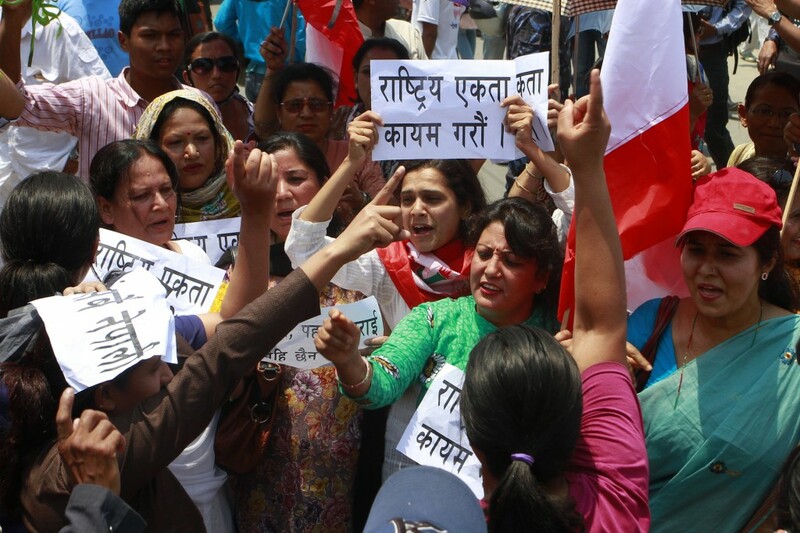 Nepal has faced all sorts of difficulties to protect its national integrity and independence. Nepal never became the colony of powerhouse Britain. The national heroes like Balabhadra Kunwar, Bhakti Thapa, fought bravely to save the national integrity. By eradicating all types and forms of negative discrimination based on race, religion, tribes, class, etc. By developing an effective diplomatic relationship with neighboring as well as abroad countries. By making the system of inclusive participation of people in all sectors and authorities. By encouraging the citizens to maintain peace and order in the harmony. The act of controlling criminal activities at the border for national security is known as national security. Nepal is a small country which lies between two big countries i.e. China and Nepal. There is a high risk of broader encroachment on the southern border than in northern border as the plain land in the southern border is easy to displace. But the northern border is full of steep rocks and mountains. So, the possibility of broader encroachment in the northern border is less. Nepalese are still fighting for border security. As a result, a hidden cold war is taking place between patriotic Nepalese and the Indian government to solve the problems of border encroachment. There should be regular monitoring in the borders areas of Nepal by a national team consisted of various political parties, border expert, and authorized technical persons. Border pillars, boundary lines, etc. should be repaired or built if it is damaged and the records of their real locations should be kept. The government should make the situation of regular monitoring requesting the neighboring country. There should be the participation of international bodies such as UNO or any other organizations acceptable to both countries to facilitate the border dispute resolution meeting. Self-esteem is a feeling of being happy and delightful with one's characters and activities. Self Respect is a feeling of pride in oneself that what one addresses, says, etc. that is good or bad.Nepalese have been famous worldwide as the Brave Gorkhalis and our country as the land of brave warriors. Nepalese are self-reliant, laborious and hard workers and true nation lovers. Our country, Nepal was protected from British rulers because of the unification campaign launched by King Prithivi Narayan Shah. 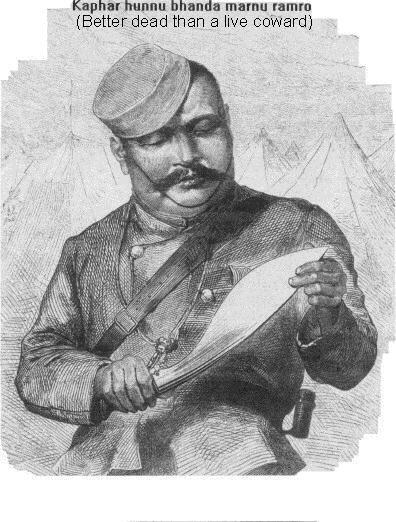 The national heroes like Amar Singh Thapa, Bhakti Thapa fought bravely to resist the mighty forces of British India during the Anglo-Nepal war. They did so due to their love and respect for the motherland. We should follow their principles and become hard working, sincere and should eradicate all sorts of malpractices. We should also be ready to sacrifice our lives for the sake of the nation. Mutual understanding between different races, tribes and the class in the country. The people must have the sense of brotherhood and harmony among each other. We should be the true lover of the nation maintaining unity in diversity. The people should always feel proud, satisfied and committed to promoting the glory of the nation. Those matters connected with a state which all the citizens of the state need to understand and follow are called national concerns. Nepal is a sovereign and independent country. Unity in diversity is our specialty. Nepal is a common garden of 4 castes and 36 sub castes. There are three issues of national concerns.They are national integrity, border encroachment and self-esteem/self-respect. Define 'National Integrity'. Describe the roles of community and government in one points each of them. 'National Integrity' is the principle of oneness or unity in which citizen and government both are responsible enough for not dividing the country, but maintaining the whole. If there is national integrity, country comes first than the self. Sense of give and take: Community people should always realize that we are social by nature and we can exist if we possess the sense of giving and taking. They should learn to live in reciprocal. They should maintain unity in diversity so that to create harmonious society. Unless and until they do not live together as brothers and sister, it's difficult to maintain national integrity. If the citizens or community people developing feeling of hatred to each other, there is chance of conflict which would create civil war. In course of time, it may break the unity; endanger the sovereignty, thereby dividing a country into two. Equal distribution of means and resources: This is one of the roles that government must play for the promotion of national integrity. The available means and resources should be equally distributed or divided among all people in a nation if this does not happen, some people may raise their voice and arm against nation and its governing body. This may consequently lead into civil war threatening the national sovereignty and integrity. Explain boarder encroachment as one of the national issues of our country. The act of controlling criminal activities at the border for national security is known as national security. Nepal is a small country which lies between two big countries i.e. China and Nepal. There is high risk of broader encroachment in southern border than in northern border as the plain land in the southern border is easy to displace. But the northern border is full of steep rocks and mountains. So, the possibility of broader encroachment in northern border is less. Nepalese are still fighting for border security. As a result, a hidden cold war is taking place between patriotic Nepalese and the Indian government to solve the problems of border encroachment. Explain self esteem as one of the national issues of our country. Self esteem is a feeling of being happy and delightful with one's characters and activities. Self Respect is a feeling of pride in oneself that what one addresses, says, etc. that is good or bad.Nepalese have been famous worldwide as the Brave Gorkhalis and our country as land of brave warriors. Nepalese are self reliant, laborious and hard workers and true nation lovers. Our country, Nepal was protected from British rulers because of the unification campaign launched by King Prithivi Narayan Shah. The national heroes like Amar Singh Thapa, Bhakti Thapa fought bravely to resist the mighty forces of British India during Anglo Nepal war. They did so due to their love and respect to the motherland. We should follow their principles and become hard working, sincere and should eradicate all sorts of malpractices. We should also be ready to sacrifice our lives for the sake of nation. What are the measures to solve boarder encroachment? i. There should be regular monitoring in the borders areas of Nepal by a national team consisted of various political parties, border expert, and authorized technical persons. ii. Border pillars, boundary lines, etc. should be repaired or built if it is damaged and the records of their real locations should be kept. iii.The government should make the situation of regular monitoring requesting the neighboring country. iv. There should be participation of international bodies such as UNO or any other organizations acceptable to both countries to facilitate the border dispute resolution meeting. What are the measures to promote self esteem? The people should always feel proud, satisfied and committed to promote the glory of the nation. What are the measures to promote national integrity? i. By eradicating all types and forms of negative discrimination based on race, religion, tribes, class, etc. ii. By developing effective diplomatic relationship with neighboring as well as abroad countries. iii. By making the system of inclusive participation of people in all sectors and authorities. iv. By encouraging the citizens to maintain peace and order in the harmony. How many issues of national concerns are there? Sovereignty,border encroachment and national integrity are in serious crisis. Is existed political instability of Nepal a root cause of it ? If so what should the government of Nepal do to maintain stability in Nepal? Any Questions on 'Subjects of National Concern '?